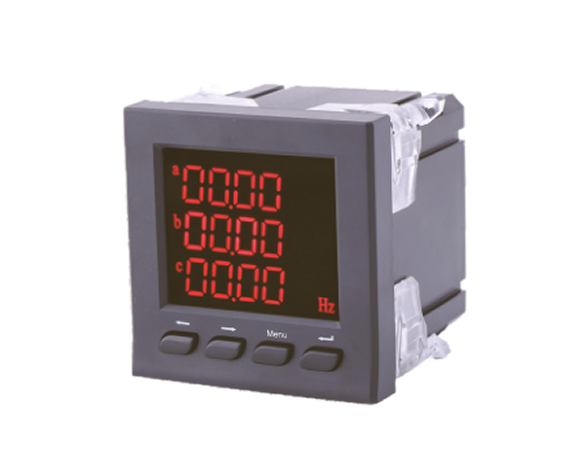 Intelligent digital voltage meter display are used in electrical power grid and automation , control system to measure voltage parameter ,according to the additional function devision , we have X,K Two series digital meter . 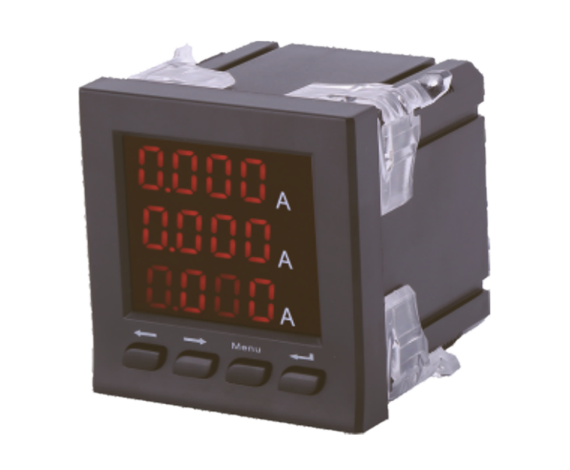 X Series digital voltage meter via directly AC/DC 0-20mA ,4-20mA,0-75mV Sampling , adopts ture RMS measure voltage, and with digital (LED) directly display figure electric meter. 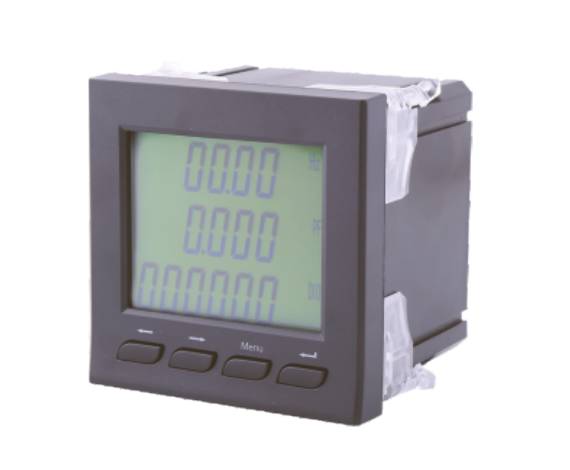 K series digital meter are based on the X-series add one to four channels open input Sn(n=1-4) realize "remote control ", one to three relay alarm output Rn(n=1~3) realize "remote control" , and one to three analog transmit output An(n=1~3)to 4-20 mA ,with RS485 digital interface, adopts Modbus-RTU protocol,realize "remote control"function . means switching value input (S)with relay output ( R ) cannot select together. the specific only communicaton ? (C)function Note: 1.when select ,Product model column according to user requirements n value Function sequence arranged by SRAC denote respectively : switching value input ,switching value output (relay output)anlog transmit output ,communication . 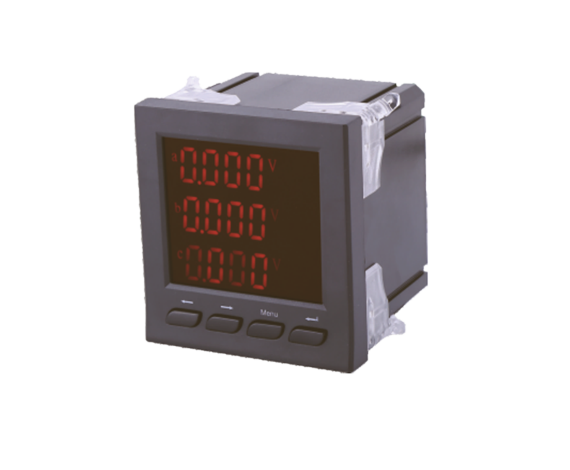 PA11941-9KY3SWREA1C :96 Type three phase ac current meter ,rated current 5A ,LCD dispaly ,with 2 roads switching value input 3 roads relay output ,1 road analog switching transmit output ,with Modbus 485 communication port .